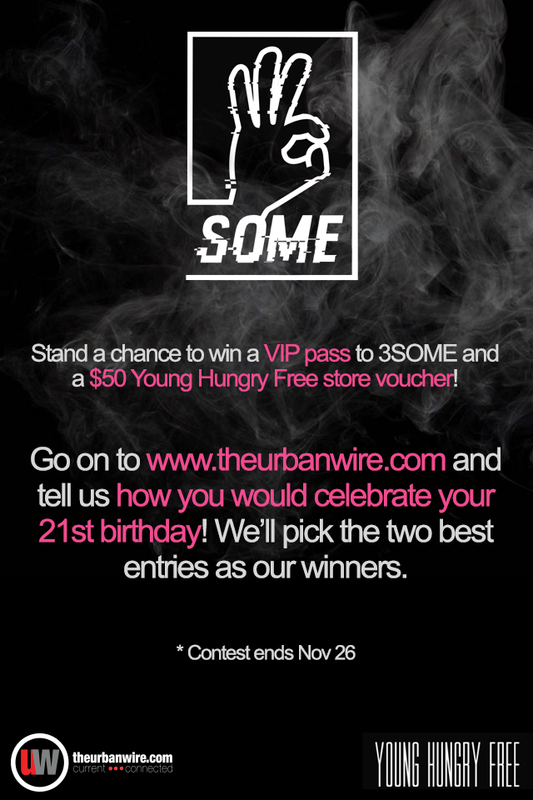 Win a VIP pass and $50 voucher for YOUNGHUNGRYFREE’s 3SOME party on 28 November, at Big Box Carpark Basement 1, from 2 till late. 3SOME happening on 28 November 2015.
and entertainment all available in one place. Simply comment on this post and tell us how you would celebrate your 21st birthday and the best 2 answers will win one VIP ticket, and one $50 voucher each! This contest will be held from the 21 to 26 November 2015, and is open only to those currently residing in Singapore.